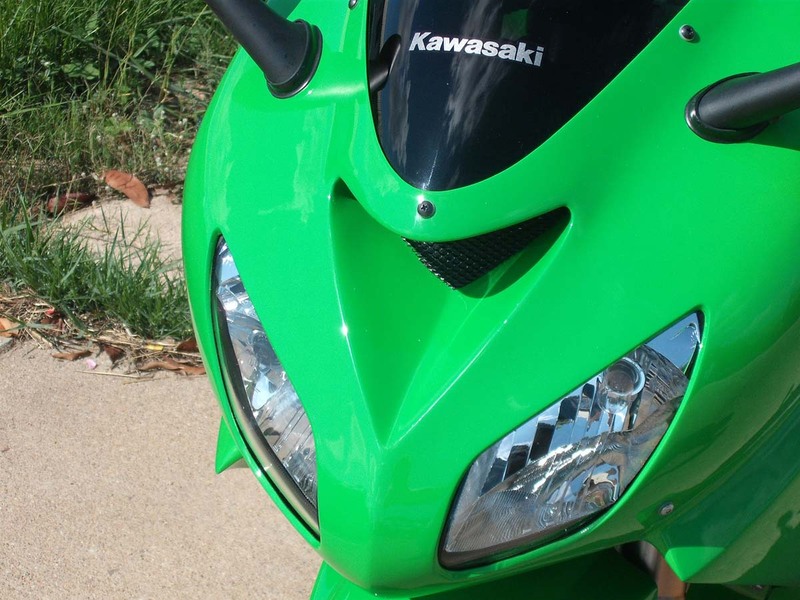 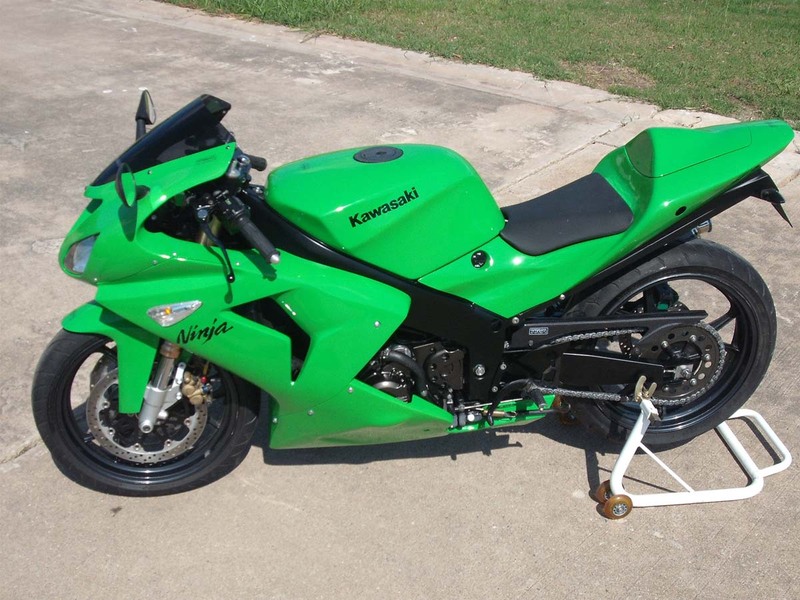 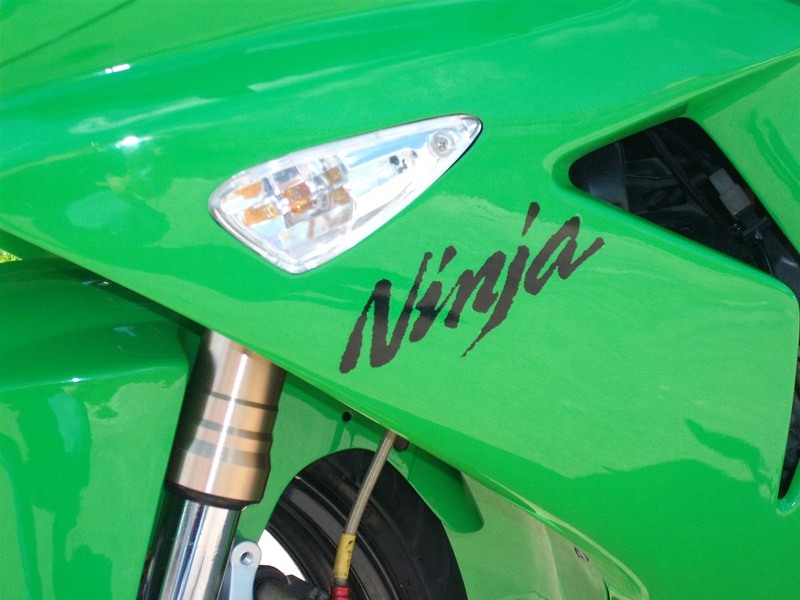 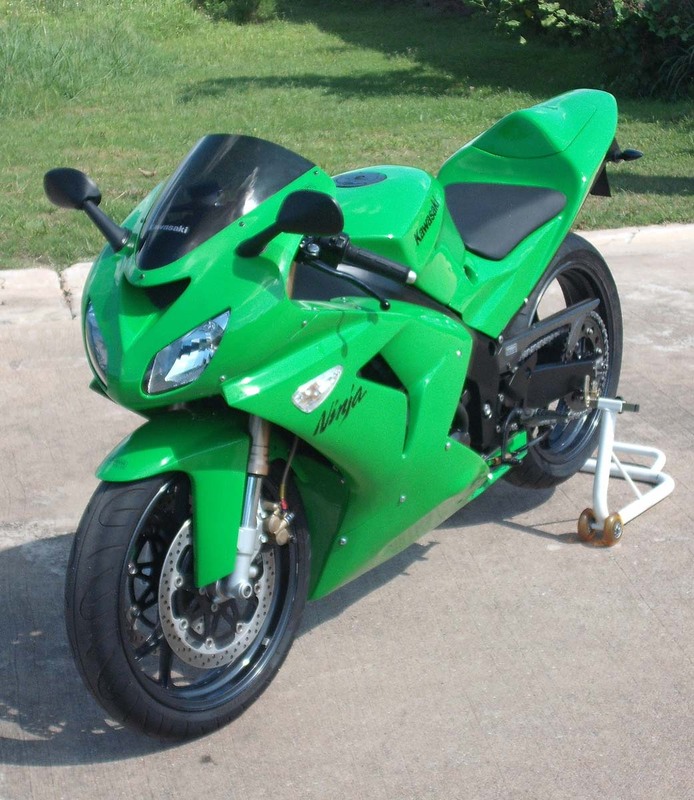 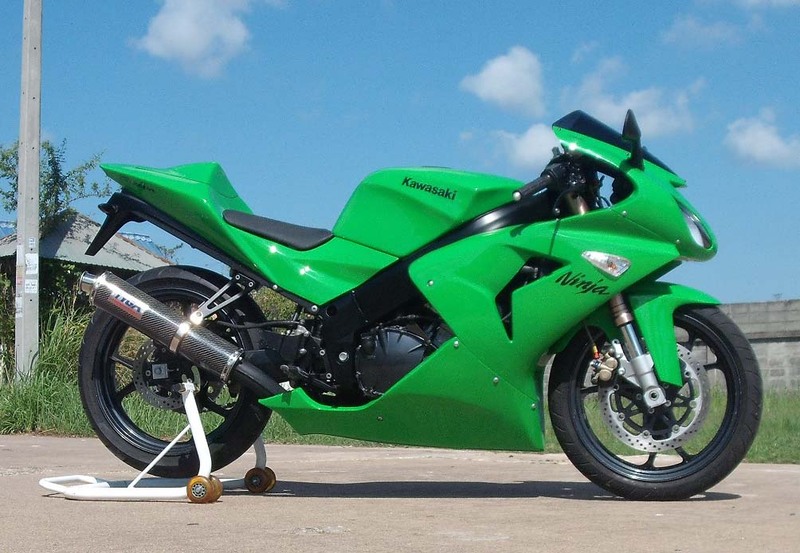 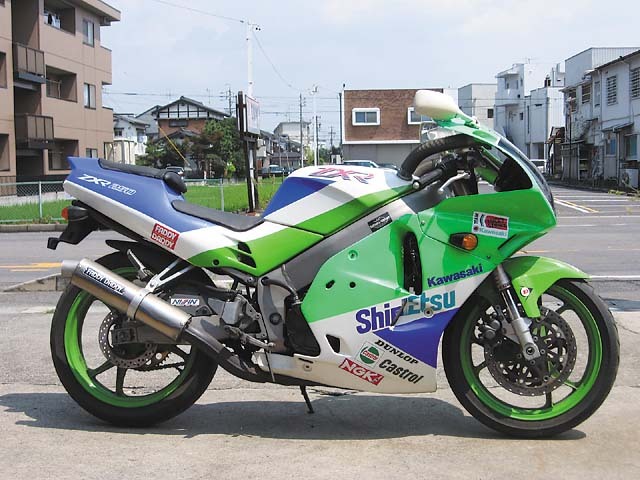 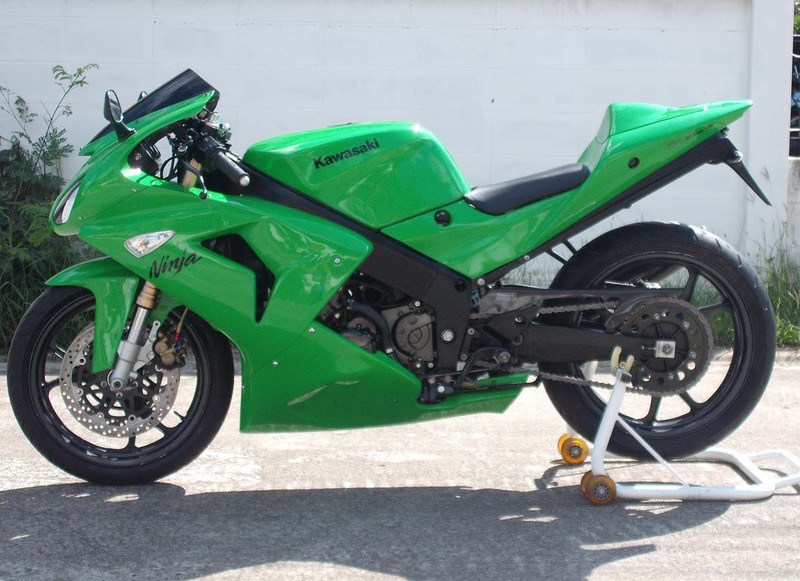 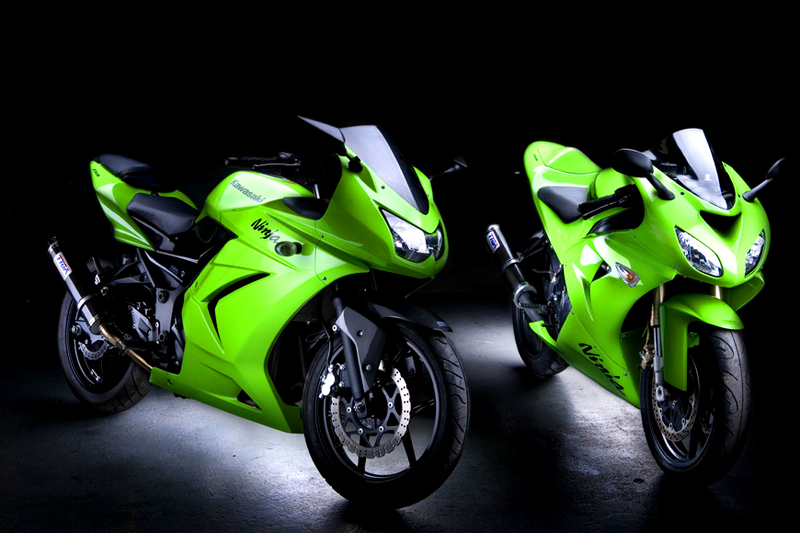 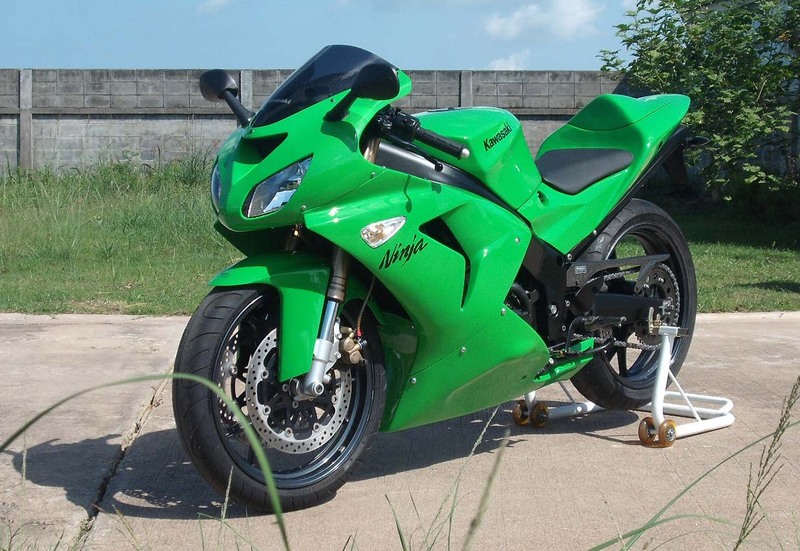 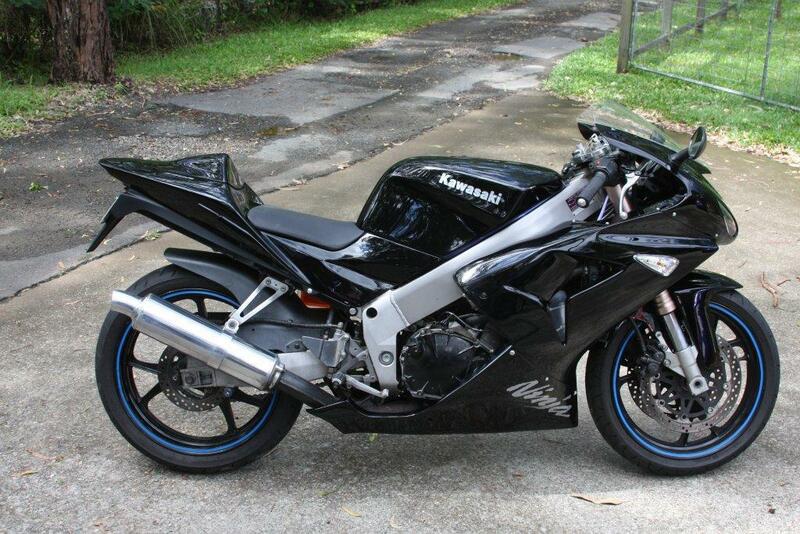 This is what we think Kawasaki should have built when they decided to use the Ninja name on a 250 sportsbike. 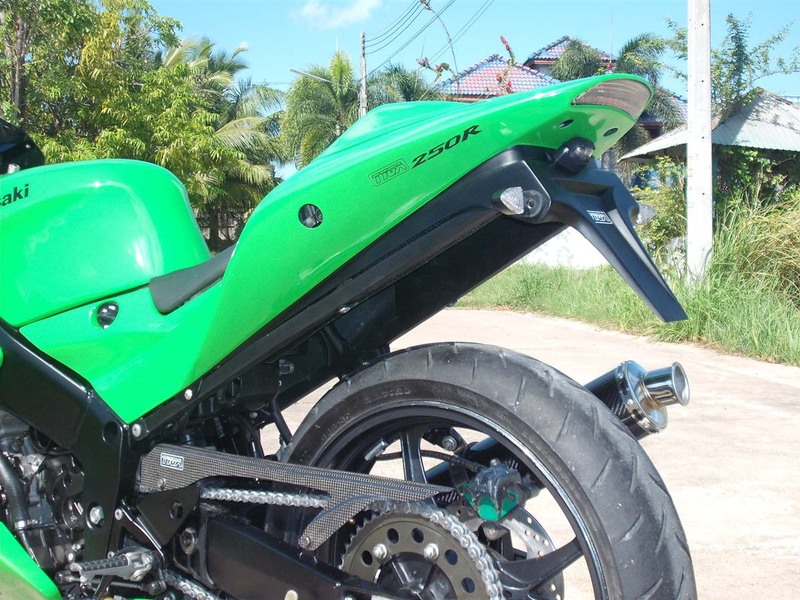 Inline four cylinder, liquid cooled, beam alloy frame and swing arm, upside down adjustable front end, twin disc brakes, high top speed and high performance. 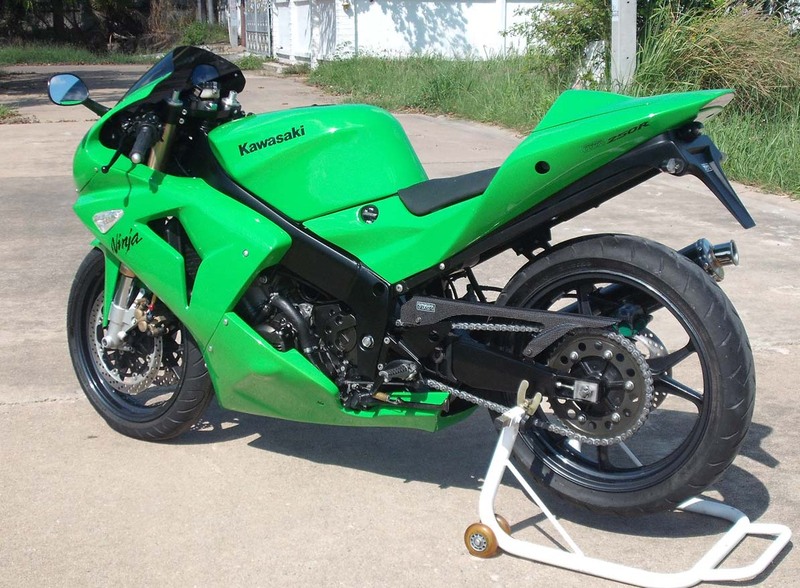 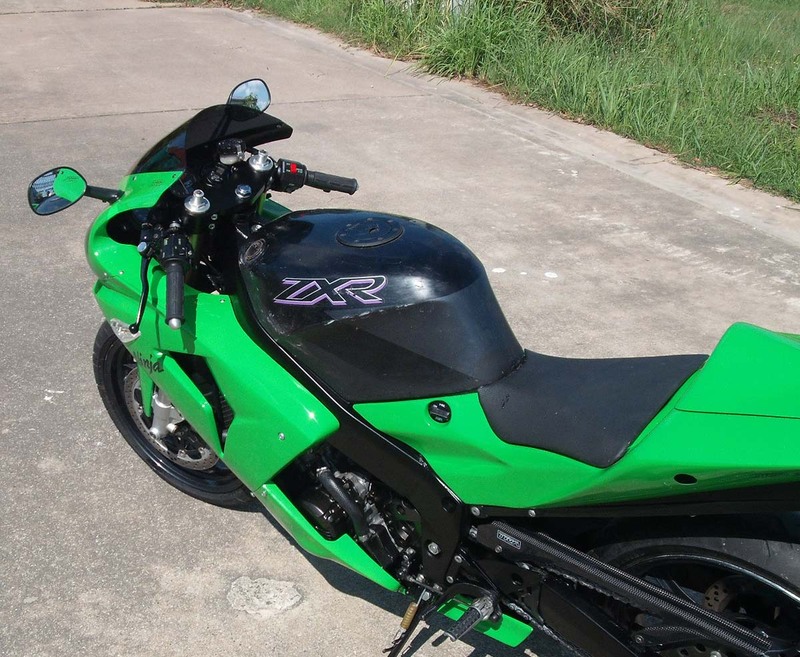 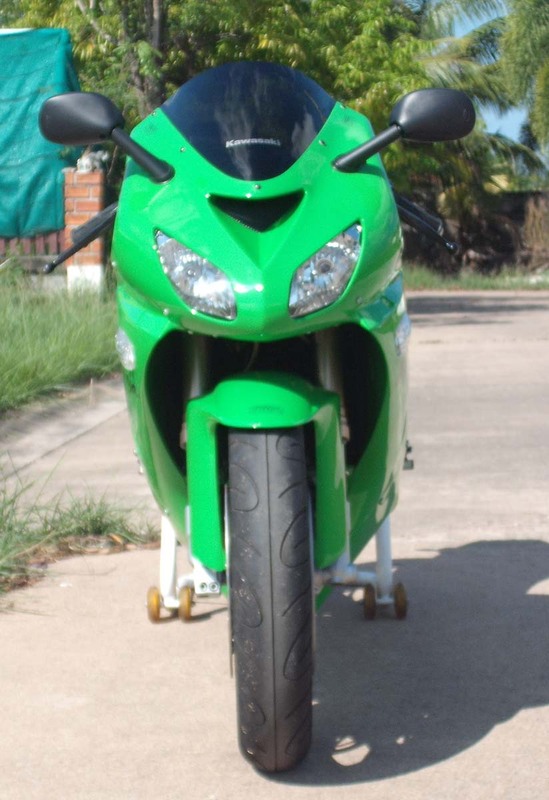 It is ironic in a way, that you need to go back almost 20 years to find these attributes in a Kawasaki 250 sportsbike. 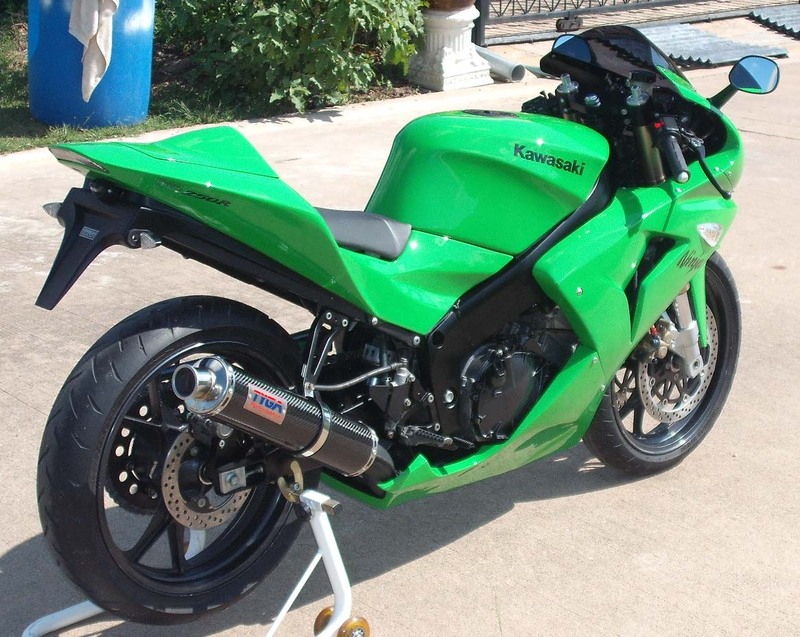 Granted, the bike is not fuel injected and the brake calipers weedy. 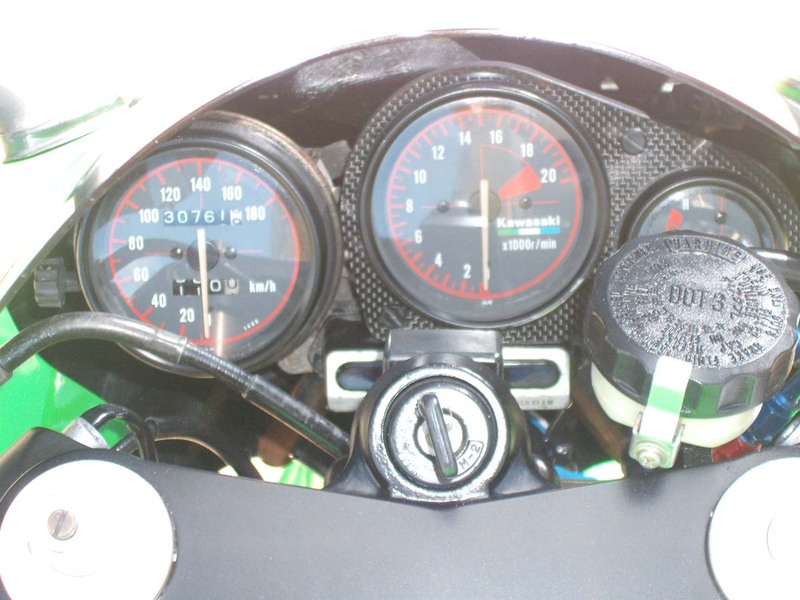 Instruments look positively dated, but heck when you can boast an 18000 rpm red line, it is a minor detail. 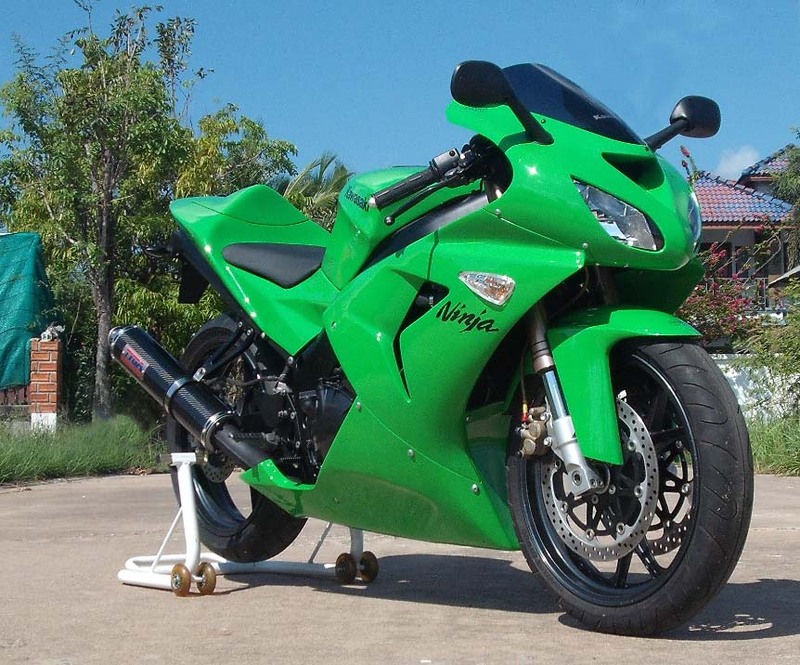 Performance, while not spectacular is certainly lively and with a 200km/h top speed and mid 40s horsepower combined with almost 125 class dry weight, then you have makings of a very fun and lively package. 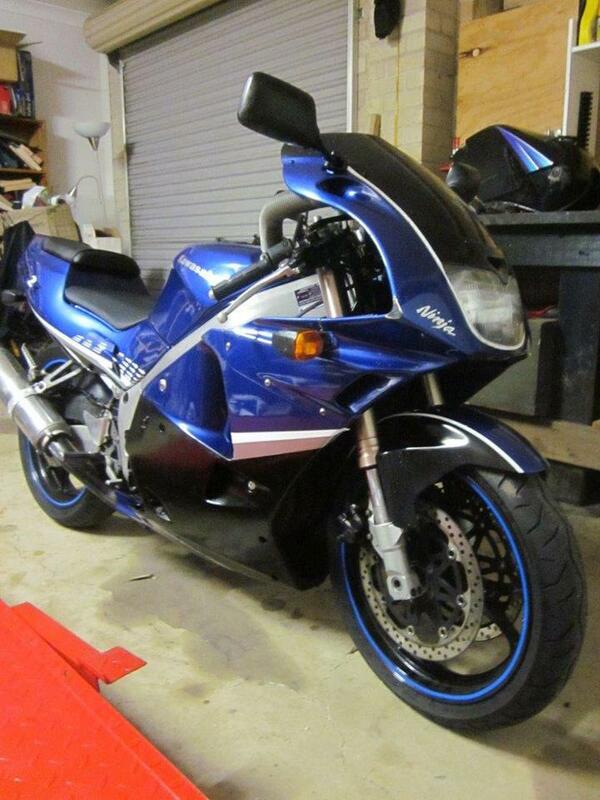 Shame it looks so outdated then. 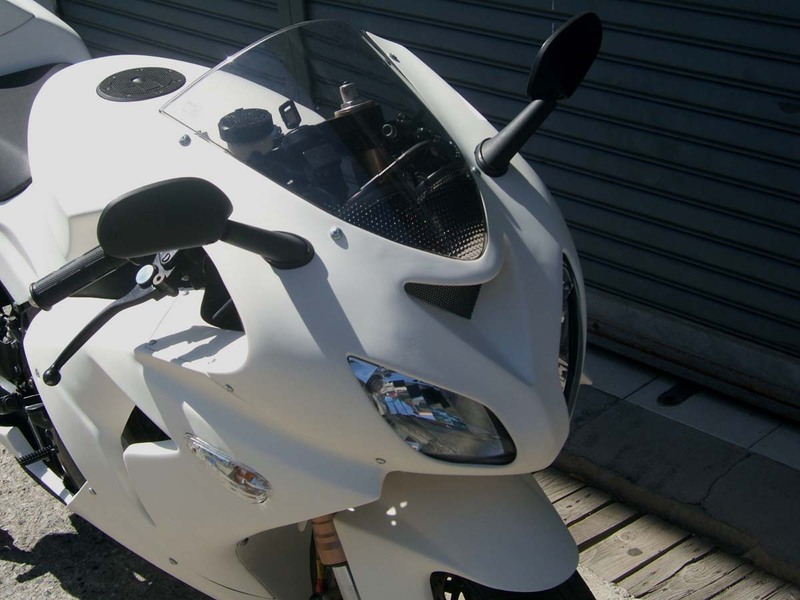 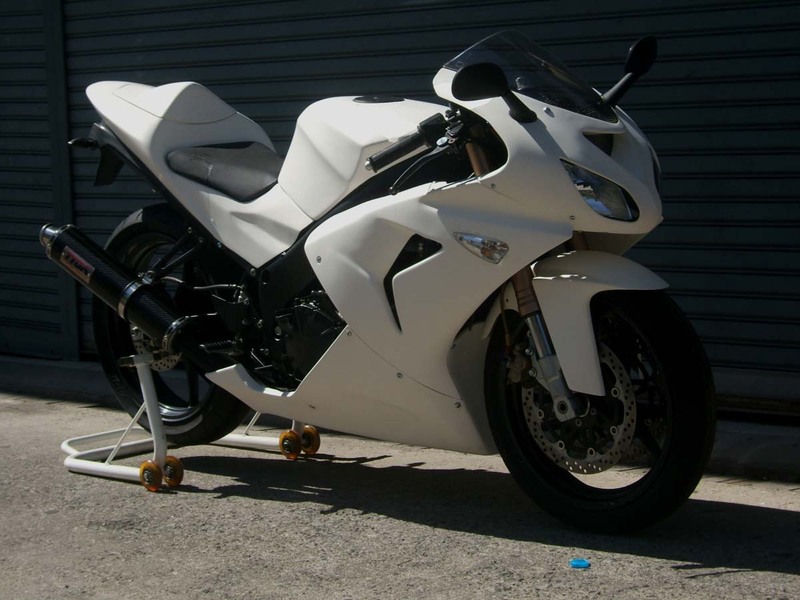 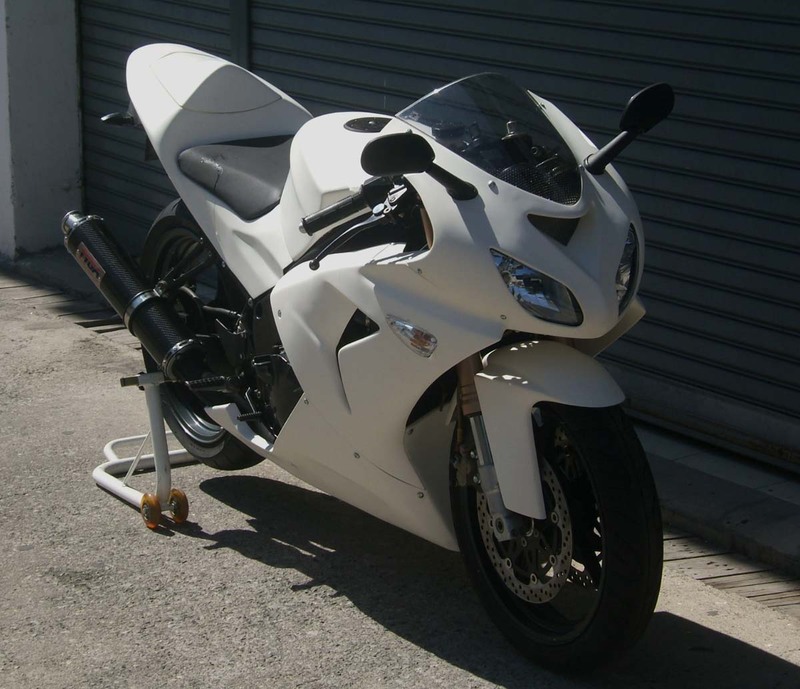 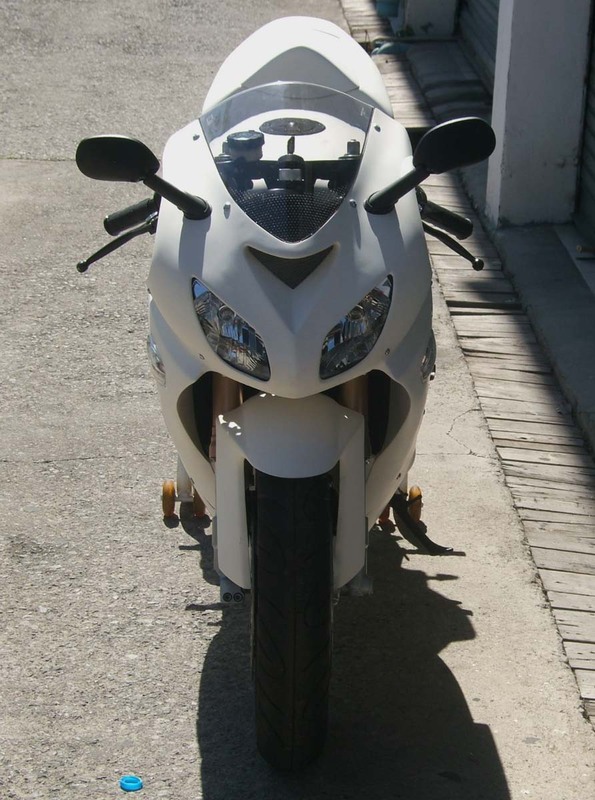 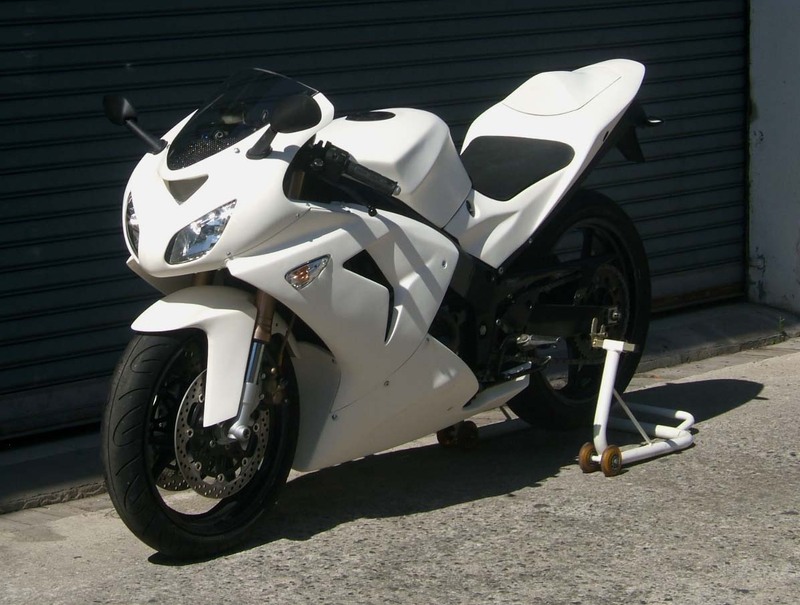 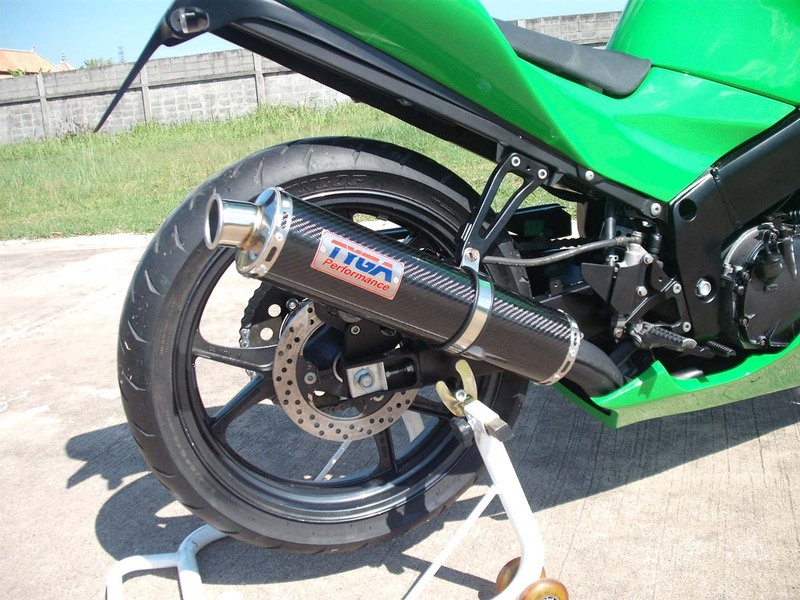 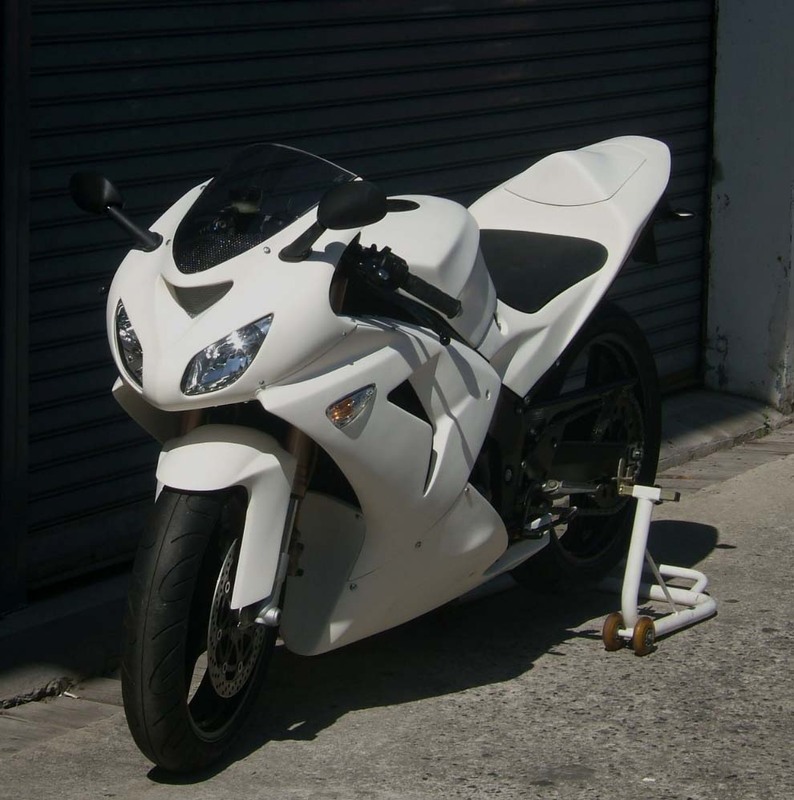 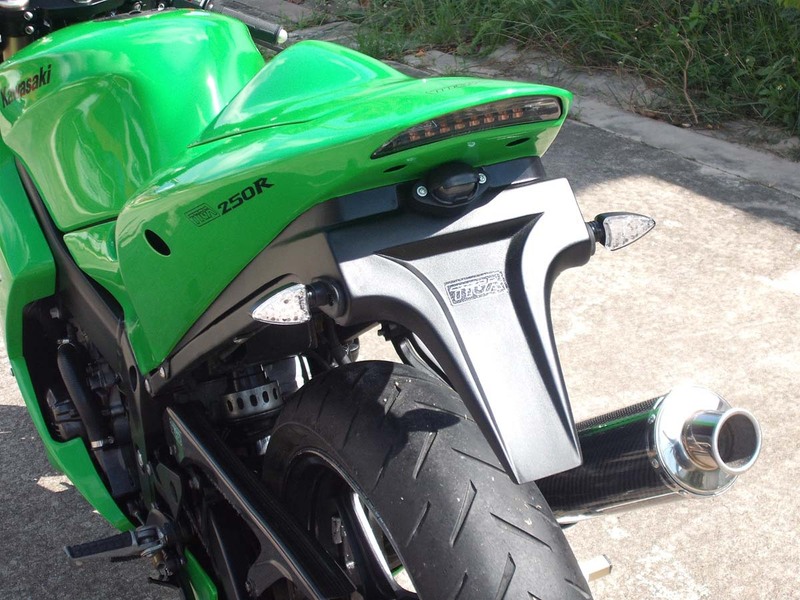 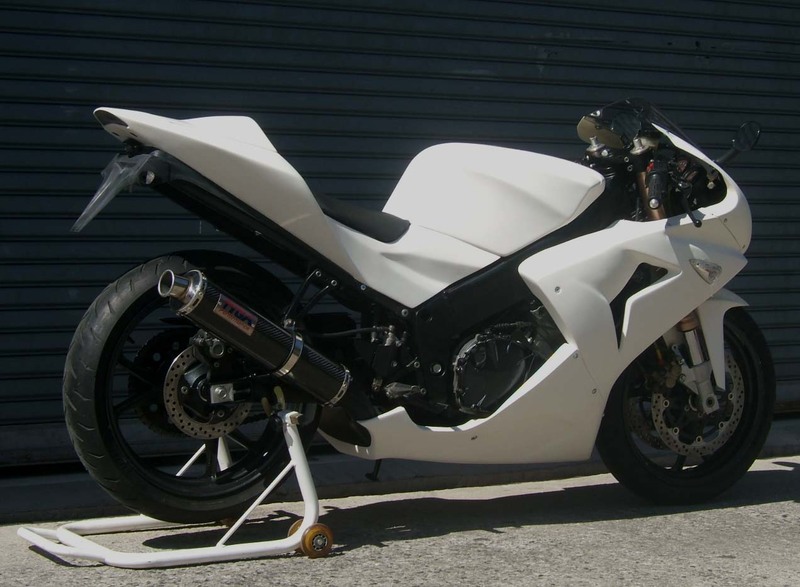 Of course we couldn't stop at the body kit and our project bike was treated to some carbon parts, the slip-on silencer, filler cap cover and instrument surround. 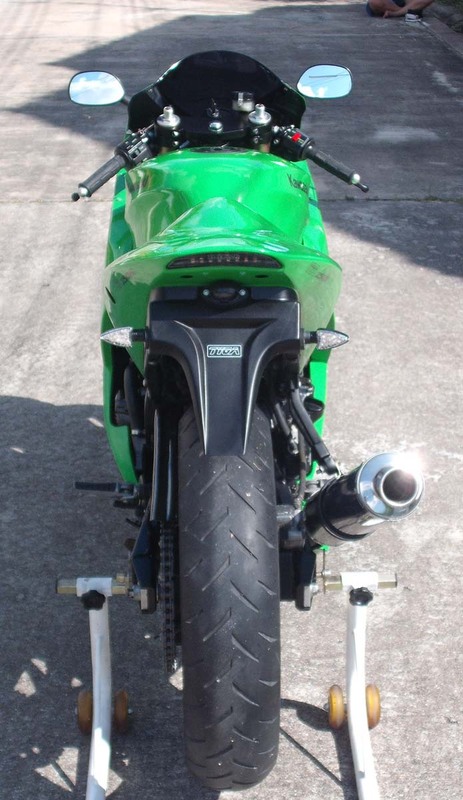 We also adapted an R1 chain guard to fit. 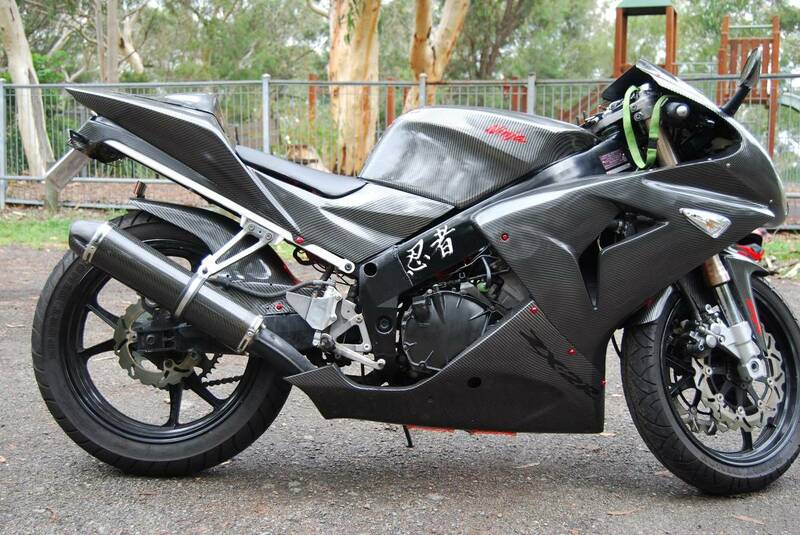 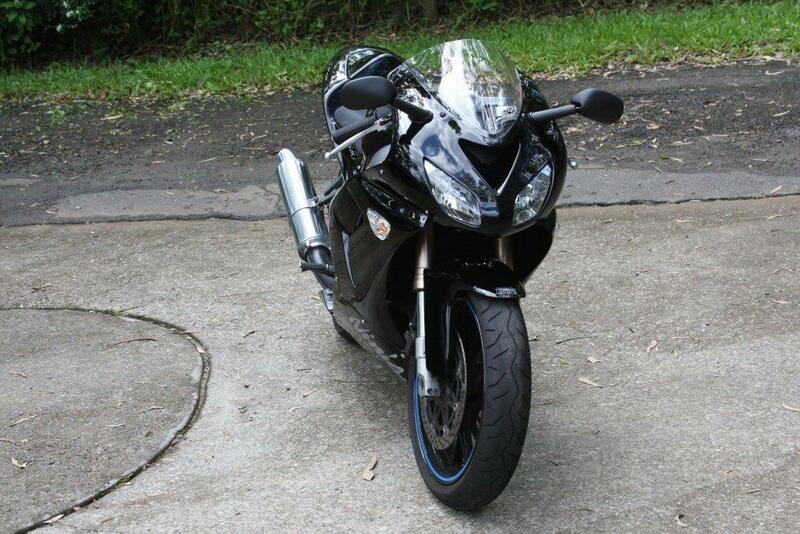 We stripped the bike down and painted frame and swing arm satin black along with the top triple and some other parts. 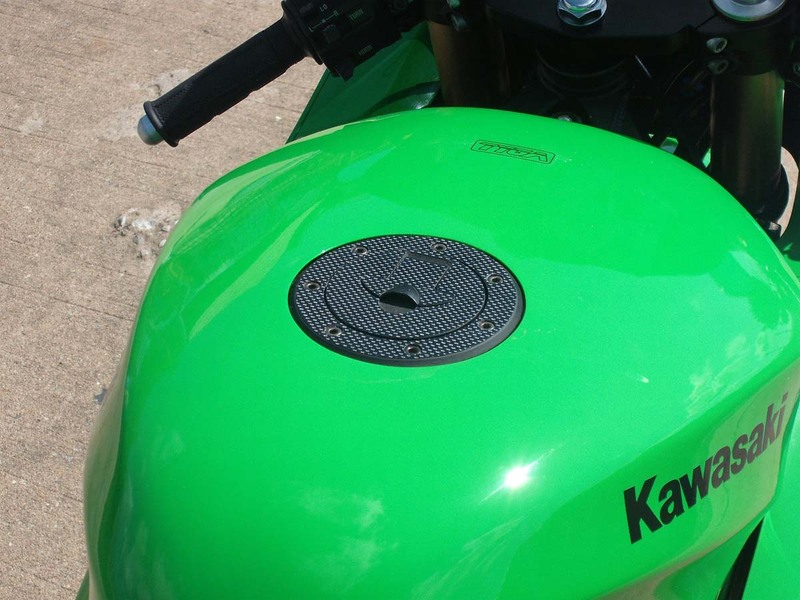 Fuel tank cover is just that, and the original tank is hiding underneath. 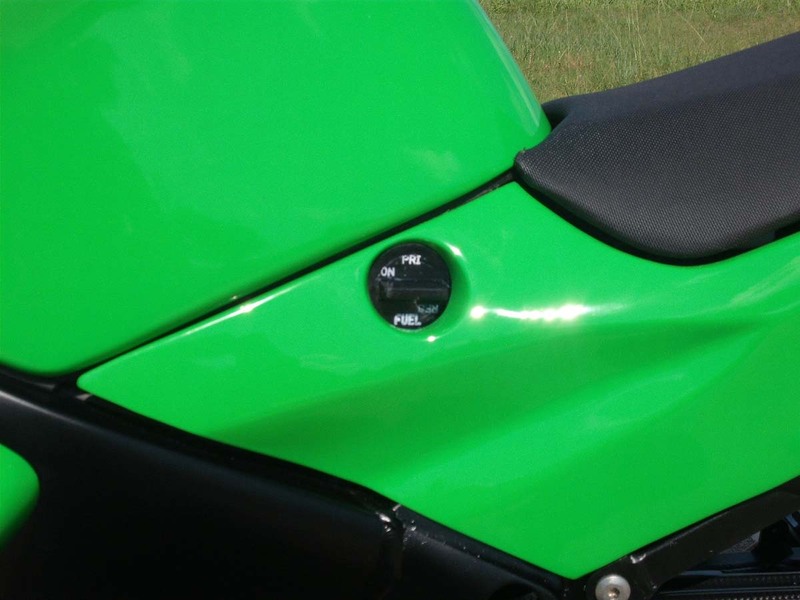 Luggage compartment is retained as is nearly all the stock bike components under the skin. 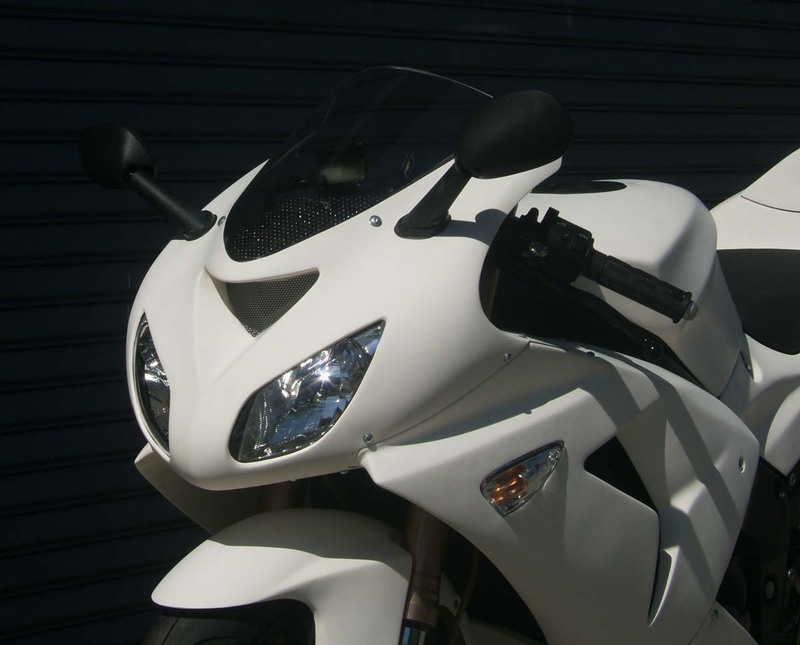 The kit is supplied with mirrors, front stay as well as headlights and LED taillight and front integrated indicators. 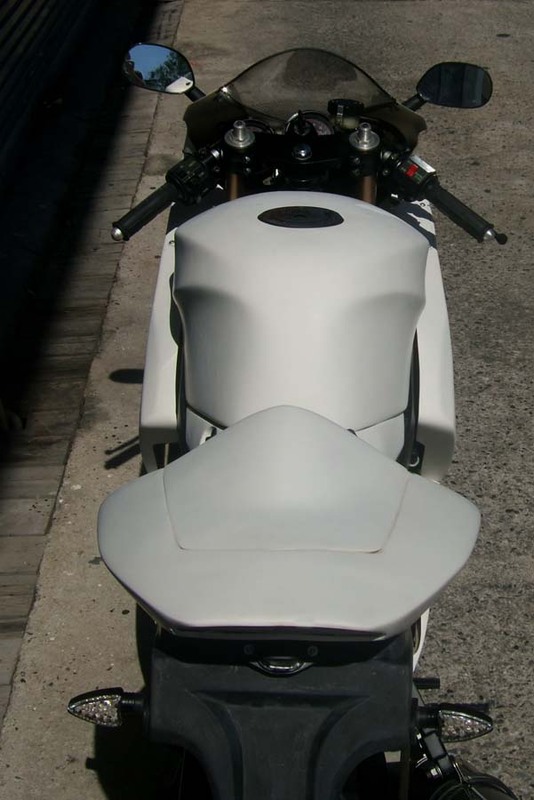 Front fender is all new to match the styling, as is rear undertray. 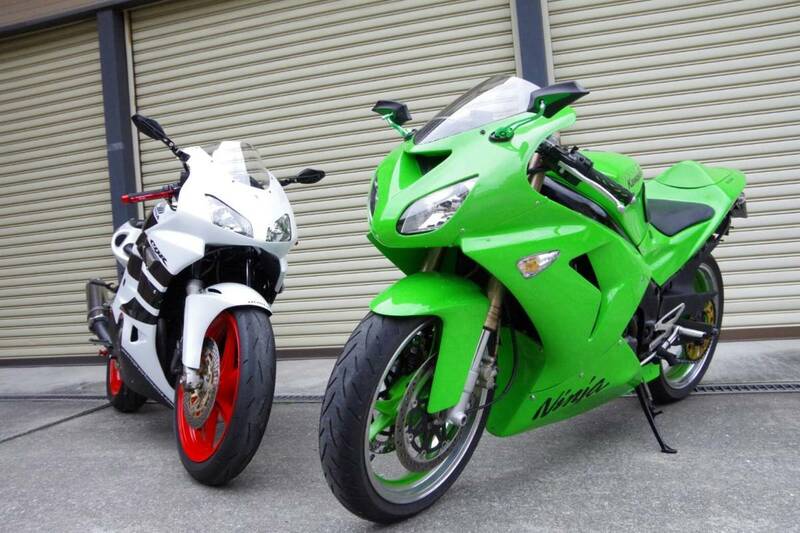 And finally a couple of photos from customers who used this kit.